Photograph by Roger Stalley. The two apartments in above the porch. 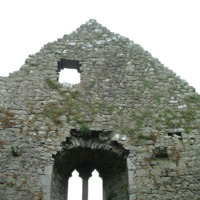 One lies above the other and the chimney pieces are placed in the east wall. Photograph by Roger Stalley. 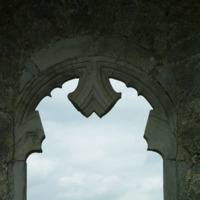 Interior view of the traceried window in the north wall of the western tower with its window seat. Photograph by Roger Stalley. 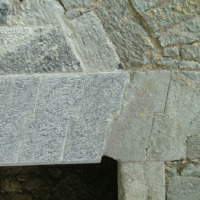 The north - eastern corner fireplace and window seat in the living space above the vault in the bishop's palace or castle. Photograph by Roger Stalley. 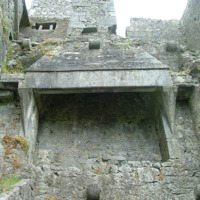 Eastern interior wall of crossing tower.